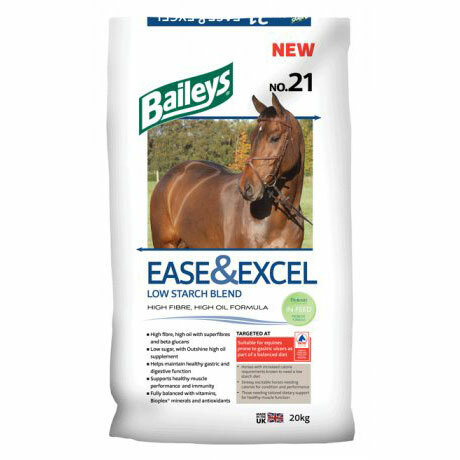 Ease & Excel is fully balanced with vitamins and Bioplex® minerals and contains superior levels of antioxidants, from vitamins C, E and Sel-Plex® selenium, to support healthy muscle function, performance and immunity. The bespoke In-Feed Formula, from Protexin, contains natural antacids, to buffer excess stomach acid, and ingredients to soothe and protect the gut lining. Its pre and probiotics support a healthy gut microflora, encouraging digestive efficiency and stimulating fibre digestion, of particular importance for horses whose forage intake may become limited.